While taking care of your community, you need to do the same for your body. Drinking coffee might be a great way to keep your body healthy and ready for anything! Midway through your 24-hour shift at the fire house and you're refilling your Snoopy coffee mug, for the fifth freakin' time. For those who make their living serving others, long days are par for the course; and cups of rich, steaming Joe may be a necessary part of staying alert and enthusiastic. But hidden in that afternoon pick-me-up are other health benefits that may help prevent some really nasty stuff. Type 2 diabetes diagnoses are flooding in more frequently than reports of drunken public urination. More and more people are instructed to make huge changes in their diets and lifestyles in order to prevent this deadly condition. Nothing trumps a healthy diet and regular exercise, but coffee may offer some protection against diabetes. A study published in the Lancet journal found that Dutch subjects who consumed seven or more cups of regular coffee each day reported lower diabetes incidence rates than those who drank two or fewer cups per day. 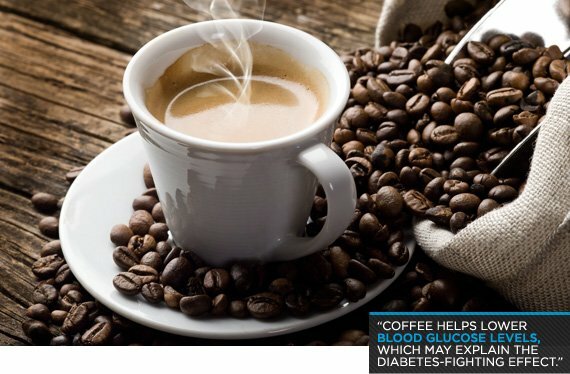 Sure, seven cups of coffee is a lot, but these anti-diabetes benefits only occur with regular use of multiple cups of coffee. Coffee helps lower blood glucose levels, which may explain the diabetes-fighting effect. A study performed by the Research Center for Military Health in Yaounde, Cameroon found that regular consumption of coffee is associated with a reduction in the risk of a wide variety of different cancers, including liver, kidney, liver and colorectal cancers. 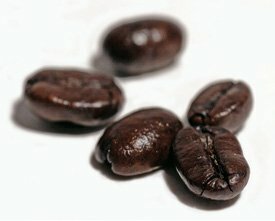 The study also found that coffee is unrelated to the development of prostate, pancreatic, and ovarian cancers. If you've considered cutting your morning cup because of cancer risks, you can put your mind at ease. In fact, you might consider having another round of the grounds. One study noted that those who consumed at least four cups of coffee per day had lower rates of gout by nearly 40%. Coffee consumption helps reduce the body's production of uric acid, the main culprit in causing this disorder. A study found that those who were consuming at least five cups of coffee per day had a greater reduction in incidence rates of Parkinson's over a 13-year period than those who were drinking fewer than five cups or no coffee at all. the risk of Parkinson's disease. The image of heavyset cops anchored in a donut shop while the bad guys run amuck persists, even if it's not really a reality. If you're a police officer though, you may find yourself sitting more often than not. This inactivity could lead to unwanted weight gain. be a great help to your waistline. by stopping at JavaHutt for a grande whipped caramel mocha peppermint frappaccino. There's too much sugar, too many calories and way too many syllables. Keep it simple: black is best. If you plan on sleeping at night, try not to drink coffee in the late afternoon or evening. The caffeine could keep you from getting a healthy amount of sleep, which could trade those great health benefits for other risks. Save it for the earlier hours when you need that jumpstart.